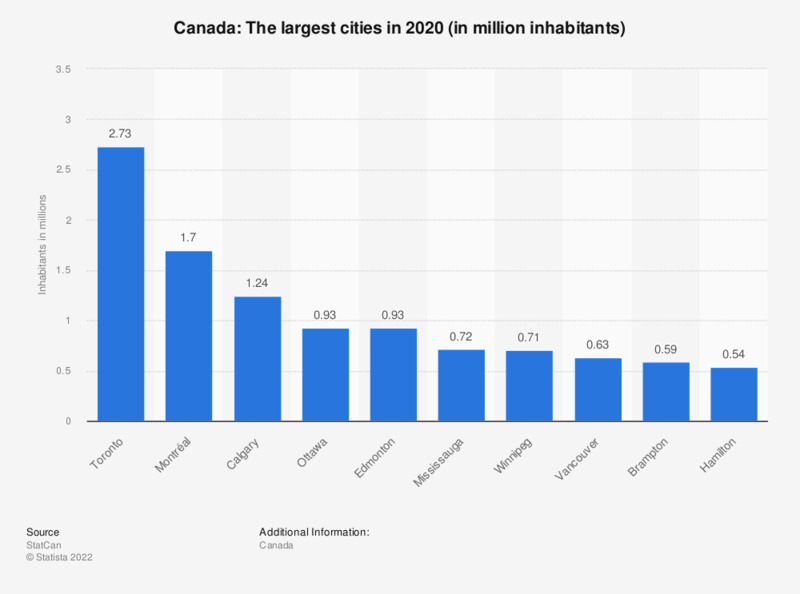 This statistic shows the ten biggest cities in Canada in 2014, by number of inhabitants. In 2014, approximately 6.06 million people lived in Toronto, making it the biggest city in Canada. According to the source, the figures refer to urban areas and are based on estimates.